How many Santa Clarita employees of the nearly 89,000 would you assume have experienced wrongful termination? Although many people might assume that wrongful termination is rare, a large number of employees deal with unlawful terminations every day. What is wrongful termination? Wrongful termination occurs when an employer makes the employment decision of firing an employee based on unlawful reasons – and in violation of employment law. 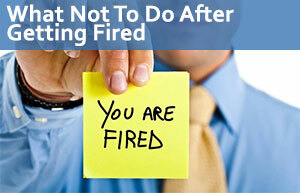 Do you believe that you were wrongfully terminated? If you suspect that your termination was unlawful, do not hesitate to seek legal assistance with the experts at California Labor Law Employment Attorneys Group as soon as possible. California Labor Law Employment Attorneys Group is an employment law firm with many years of experience handling wrongful termination claims. When you contact our law firm, you can be certain that our wrongful termination lawyers will aggressively fight for your rights as an employee. If you would like to discuss your wrongful termination with the Santa Clarita wrongful termination lawyers at our firm, contact us today. As an employee, you are protected by a number of laws – both on the federal and state level. Some of these laws include Title VII of the Civil Rights Act and the Fair Employment and Housing Act. Other laws include the California Family Rights Act and the Family and Medical Leave Act, for instance. The Pregnancy Discrimination Act and the Age Discrimination in Employment Act, for example, are also relevant laws designed to protect employees. There are also certain laws that make retaliation unlawful – specifically, these laws make retaliatory termination illegal. If you would like to learn more about all the different laws that protect you as an employee, do not hesitate to seek legal assistance with the experts at our law firm at your earliest convenience. If you believe that you were wrongfully terminated from your job, do not hesitate to seek legal assistance with the experts at our law firm as soon as possible. The Santa Clarita wrongful termination lawyers at our firm are ready to provide you with the expertise that you need to take action against your employer for wrongfully terminating you. What is the Equal Employment Opportunity Commission? The Equal Employment Opportunity Commission (EEOC) is a federal employment agency. The EEOC enforces all employment laws on the federal level, such as Title VII of the Civil Rights Act and the Pregnancy Discrimination Act, for example. If your employer wrongfully terminated you, you can pursue a claim against the EEOC – given that your employer has at least 15 to 20 employees (depending on the charge that you are pursuing). Wrongful termination claims with the EEOC must generally be filed within 180 days. In California, due to the existence of a state employment agency, claimants have 300 days to pursue their wrongful termination charges. After filing your charge, the EEOC will launch an investigation into your claim. If the investigation results in your employer being responsible for violating any employment law, the EEOC will take action against your employer. For more information about the EEOC, do not hesitate to contact the Santa Clarita wrongful termination lawyers at our firm today. What is the Department of Fair Employment and Housing? The Department of Fair Employment and Housing (DFEH) is a state employment agency – in the state of California. The DFEH enforces all employment laws strictly on the state level, such as the Fair Employment and Housing Act, for example. After being wrongfully terminated by your employer, you can pursue a charge through the DFEH – as long as your employer has at least 5 employees. Claims with the DFEH must be filed within 1 year. Once you file your charge with the DFEH, the state agency will investigate your claim. If the investigation proves that your employer violated any employment laws by terminating you, the DFEH will take action against your employer. If you would like to learn more about the DFEH, do not hesitate to contact our law firm and discuss your current situation with our attorneys. Do you have the right to file a civil lawsuit after your employer terminated you in violation of your basic rights as an employee? Without a doubt, you have the right to file a lawsuit against your employer. However, you can only file a civil lawsuit against your employer after you have been granted the right to sue by a federal or state employment agency. In other words, you must be granted the right to sue from the EEOC or the DFEH before you can file a civil lawsuit against your employer. If you receive the right to sue from the EEOC, you will only have 90 days to file a civil lawsuit. If you receive the right to sue from the DFEH, you will only have 1 year to file a civil lawsuit. If you would like to learn more about your right to file a civil lawsuit against your Santa Clarita employer for your wrongful termination, you should seek the legal guidance of the lawyers at California Labor Law Employment Attorneys Group. As mentioned above, employees who have been wrongfully terminated have the right to take action against their employers. Your claim might be subject to a 300-day, 90-day, or 1-year deadline depending on the specific action that you are taking. Without a doubt, it could be difficult to understand what specific timeline applies to your claim; therefore, you should seek legal assistance as soon as possible. Seeking legal assistance ensures that you have a thorough understanding of the timelines that apply to your claim. Why is this so important? Many employees with valid wrongful termination claims lose their right to sue their employer simply because they do not understand the importance of filing their claims on time. To preserve your right to sue, you must ensure that you know exactly how long you have to file your wrongful termination claim against your Santa Clarita employer. You were wrongfully terminated; could you recover compensation? If you file a successful wrongful termination claim against your employer, you might be eligible to recover compensation. Although the specific type and amount of compensation available to recovery is likely to vary based on the details of your claim, you should be aware of the possible compensation that you could receive. When you allow our Santa Clarita wrongful termination lawyers to handle your claim, you can be certain that our experts will always fight for your right to recover the maximum amount of compensation available for your claim. If you would like to discuss your claim with the lawyers at California Labor Law Employment Attorneys Group, do not hesitate to contact us today. When you started working at your Santa Clarita workplace, did you ever expect to become the victim of a wrongful termination? When did the mistreatment start? Did the poor treatment to which you were subjected eventually lead to your termination? If you believe that you were wrongfully terminated, you might benefit from discussing your claim with the experts at our law firm. Our law firm – California Labor Law Employment Attorneys Group – is an employment law firm with many years of experience representing employees dealing with issues in the workplace. If you are currently dealing with a wrongful termination, do not hesitate to contact our law firm at your earliest convenience. Our Santa Clarita wrongful termination lawyers are ready to handle your claim and fight for your rights in the workplace. Have you considered the possibility of having to pay expensive legal fees to discuss your claim with a lawyer? Unfortunately, many employees who have been wrongfully terminated never even consider taking action against their employers because they fear potential legal expenses. At our law firm, we are dedicated to doing everything within our reach to ensure that all wrongfully terminated employees have access to the legal assistance that they need. Because of this, we offer both free consultations and free second opinions. During these free legal services, our Santa Clarita wrongful termination lawyers will be available to answer all your questions and address all your concerns – regardless of whether you want to begin your claim or redirect your claim (after your claim was negatively affected by the incompetence of another attorney). Would you like to schedule a free consultation or a free second opinion? If so, do not hesitate to contact the wrongful termination lawyers at California Labor Law Employment Attorneys Group today. Are you ready to schedule a free consultation or a free second opinion? When you contact our law firm, you will find that we offer a Zero-Fee guarantee. You will never have to worry about paying any upfront legal fees for any of our legal services. Our employment law firm is also strictly based on contingency; therefore, our clients will not be required to pay anything until after reaching a positive outcome. If you do not win, you will not pay – you can be sure of it. To schedule a free consultation or free second opinion to discuss your claim with our Santa Clarita wrongful termination lawyers, do not hesitate to contact our law firm as soon as possible.